For those who consider higher education as their pathway to success, let us remind them that anything of value in this world is not easy to accomplish. Though the sheer opportunity to pursue higher qualification at a reputable varsity should be taken as a privilege in its own self, nevertheless only those students who have an unwavering will can surpass the competition and claim their victory. It is tough, to say the least, and with time and progress, higher education becomes even more challenging. The closer you move towards your final goals and specializations, the scrutiny for your performance rises as well. The margin of error is simply not there and everything that you are asked to perform on gets heavy criticism from your teachers and professors. This is the nature of higher education no matter wherever you go around the world. The pressure is undeniable for some it can even lead to a nervous breakdown. 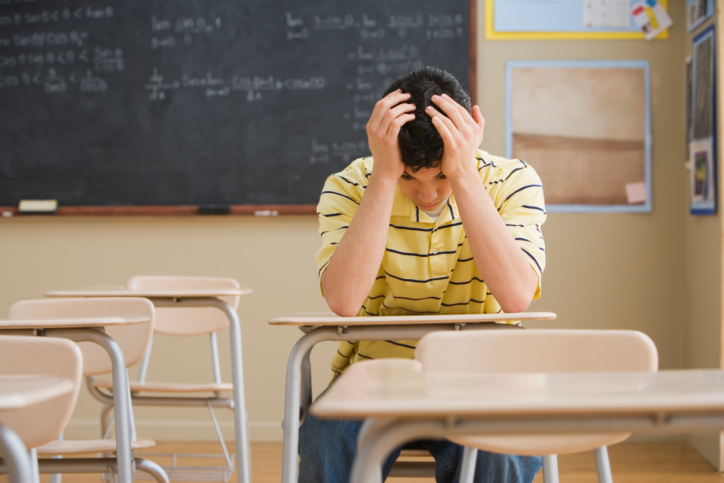 Nevertheless, apart from the difficulties presented by the education standard itself, there are certain predispositions that can afflict a student’s performance. In this post, we would like to shed some light on those factors that are indirectly able to create a whole new set of troubles for your minds and learners to aspire and become a better version of themselves. It has been observed that a lot of students travel to faraway lands in pursuit of their higher qualifications from a renowned educational institution. This means that they leave their families, friends, and loved ones behind, which puts them into a completely new environment. They live amongst people who they are not familiar with and are presented with a brand new set of ethos and social culture which they must adapt to. Many people who are reading this consider it an easy task, however, experience shows that getting used to a new place does take its time. Some of us who are introverts and do not socialize much can find it hard to get acquainted with new people. Others find even day to day task like laundry, getting to the grocery store, or visiting a dining restaurant difficult. This might make students feel estranged at times and can cause severe feelings of loneliness and homesickness for some. Some students even feel isolated from their environment for as long as a couple of months. This overall desolation and unhappiness is not a good thing for them since it might lead to severe depression that can result in something as serious as suicidal thoughts even. Isolation is never a good thing, and these are the years where long term bonds and friendships are made. As a student, we highly recommend that you do not feel shy and boost your interactions with others. Social engagement will help you find relief from a lot of stress as well as pump your self-esteem. Students are found to be facing considerable financial constraints during their learning years. This is due to the fact that their tuition fees alone for their education can be quite expensive, and the rest of the amount makes up for their already limited budgets. In order to manage their other costs like food, rent, utilities, and traveling, many students often opt for part-time jobs or chose to run errands for the other people to make some extra cash. This allows them to pay off their dues, however at the same time cause them to suffer from additional fatigue and exhaustion due to working and learning at the same time. It is definitely a testing time for them because not only do they have to focus on their studies as their main priority, they also have to look after their needs and make sure that their financial do not deteriorate to a level where sustenance becomes impossible. This is a common problem for many students, yet there are examples of students who have been found to succeed in the face of such adversities known the less. However it will do a great deal of help for many students to have some sort of financial aid during their learning years so that their mind can attain internal peace, and this will allow them to focus entirely on aiming towards their own academic success. Perhaps this one problem which is common amongst many foreign students whose mother tongue is not English. In recent times the UK has become somewhat like a hive for all young and aspiring minds to find themselves migrating towards. Sure the quality of education is high, however, many students how have English as their second language often face a lot of language barriers on a day to day basis. Not only does it interfere with their daily activities, but it also causes them a serious set of dilemmas when they are asked to present a lengthy and affluent written task. Nevertheless, students can acquire professional essay help from qualified and experienced writers that can offer them the support they need to craft exquisite papers at affordable and feasible charges. However, we strongly recommend students to devote their time to learning the language of their new place. There are courses available online that can assist them to overcome their language barriers as well as help them become more proficient in their public speaking and general English writing skills. Both of these skills will help students to overcome their hurdles during their learning years and make them more confident when participating during classroom sessions. The World Health Organization has been indulged actively to promote mental health amongst students in recent years. This is to show that mental health of students is considered an extremely sensitive issue which takes into account some serious concerns like suicide, depression, and substance abuse which are being found to be alarmingly on the rise this past couple of years. The NHS is also working actively to promote the self-awareness of such apprehensions. Students can go online and have their own self-assessment these days. Many universities and other establishments are also putting in a lot of effort to safeguard the interest of such students who suffer from ailments. Students who have been pronounced as having a mental illness are given financial support and treatment under the proper supervision of experts. These grants are now being made available for all universities and other higher educational institutions within the UK. A lot of mental illnesses have also been observed as an outcome of substance abuse which includes cannabis and other drugs that are synthetically made in private laboratories. Alcohol consumption over a prolonged period of time can also lead to addiction commonly known as alcoholism. Such kind of behavior should be curtailed and avoided at all cost. If you find a friend who is need of help then make sure that proper channels are used to rectify their problems. The human body works in cohesion so that if one part of your body is deprived of nutrition it affects the entire biological system. Studies and investigations show that the majority of students are below the level of physical fitness then what is prescribed for them. Obesity amongst students is a major factor that leads to other diseases such as diabetes, abnormal blood pressures, and other heart-related diseases. The effective remedy for them is to have a proper diet that is enriched with Iron and Vitamin B. They should have more organic food intake and cut down on their sugary items as well as junk food which considerably a poison for them at their age. On the other hand, students should also should opt for some sort of physical exercise or indulge actively in sporting activities. This will help them to remain energetic throughout the day and increase their blood circulation. Physical exercise is great for the human body as it help to detoxify your system and enhance your immunity against illnesses. The major cause of deprivation of health in students can be described as a complex and complicated mix of various factors. The studies themselves are quite overpowering themselves and many are unable to attend to their physical needs in time to prevent their health from falling. While there are many other troubles which students face during their learning years, through this post we intended to share the ones that more commonly felt by the majority of them. If you have a fellow student who is found suffering from such challenges as mentioned above, then be a nice person and help them in their time of need. Communities and societies are built on collaborations and cooperation. If you feel that they need professional assistance then do let the authorities know so that assistance and support can be provided to them. We know that our post has missed quite a few of challenges faced by students nowadays. Please share with us your opinion regarding this post, and let us know of your feedback in the comment section below. Next Next post: Why Should You Pursue Higher Education At Manchester?